• Homes and businesses that do not employ any form of security measures are 10 times more likely to be burgled than those with simple security measures. • Homes and businesses with no burglar alarm are three times more likely to be broken into than those with alarms. • Around 20% of all household burglaries are carried out without forced entry. A burglar may see an open window or another easy point of entry and take their chance. • Visible burglar alarms make intruders think twice. They not only act as a deterrent but will also provide a warning that an intrusion is taking place. Can I have a free survey? Theft, robbery and burglary were some of the highest recorded crimes between October 2014 and 2015 according to recent statistics released by Devon and Cornwall Police. 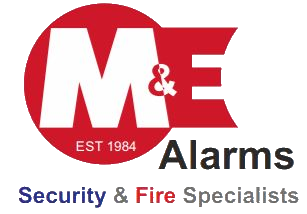 Here at M&E we know that just having a visible intruder alarm reduces the risk of theft, robbery and burglary drastically and when the systems used are of the highest quality and latest technology the risks are reduced even lower. Although statistics show that burglary rates have been dropping, there are still a high percentage of properties that do not have adequate security measures in place. The best deterrent for burglars is an intruder alarm and it needn’t cost the earth to install an effective intruder alarm. Ultimately, an alarm system gives property owners the peace of mind they desire to protect their homes, families, businesses and assets. Only around 10% of residential properties in the UK are protected by an intruder alarm system, so by introducing intruder alarm installation to your services, you could significantly grow your business and profits. M&E utilise Texecom’s Premier Elite Wireless technology to deliver a high quality of performance which is unmatched by any other wireless system. Connect any Premier Elite control panel to your home network and The Premier Elite ComWifi will integrate you system together to make a simple, secure network connection. The benefits of WiFI connectivity is the compatibility with Texecom’s suite of mobile apps and the ability to upload/download diagnostic controls via Wintex software. Texecom’s Premier Elite mobile apps have been recently enhanced and upgraded. Featuring a brand new interface and key feature upgrades including push notifications and camera access, the Premier Elite Mobile Apps put you in control of your home security. Removes the need for static IP addressesPremier Elite control panels can now be wirelessly connected to home networks with the recent launch of the Premier Elite ComWiFi. Making your connected home secure has never been more straightforward.